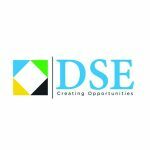 The World Federation of Exchanges (WFE) has approved the membership of the Dar es Salaam Stock Exchange PLC as a full member, following its Board of Directors Meeting held in London, on January 21, 2019. After achieving the Affiliate status in 2016, Full Membership status marks the completion of a long process and on-site peer review and inspection exercise carried out by a team comprised of Johannesburg Stock Exchange, Egypt Stock Exchange and Bermuda Stock Exchange representatives in December 2018, that led to a positive report to the Board of Directors of the WFE meeting in January 2019. This evaluation confirmed that the Stock Exchange, the Regulators, the Central Depository and other stakeholders (including listed companies, stockbrokers, custodian and settlement banks, etc) of the Tanzanian capital market meet the main WFE standards and requirements in terms of compliance with market principles, efficiency and governance issues. These standards cover topics as diverse: market organization; equal market access; legal and regulatory environment for listing and trading; clearing, settlement and custody; conflict resolution and complaint handling; risk management; as well as market technical infrastructure. Coupled with this achievement, there has been recent engagements and an ongoing assessment of Tanzanian Market by FTSE Russell (FTSE) – in September 2018 the FTSE Russell Country Classification Advisory Committee, the FTSE Russell Policy Advisory Board, and the FTSE Russell Product Governance Board approved the addition of Tanzania to the “FTSE Watch List” for possible reclassification from Unclassified to Frontier Market Status by September 2019. Therefore, this WFE full membership status, granted to the Dar es Salaam Stock Exchange will further strengthen the visibility of the country, the Dar es Salaam Stock Exchange and listed companies to foreign portfolio investors, including large global fund managers. According to WFE, for the exchange industry to perform its macroeconomic role, it must meet the high standards set by the market’s commercial needs and adhere to the best practices and standards set by local and global authorities competent in the financial services industry WFE and its members support an orderly, secure, fair and transparent environment for investors; for companies that raise capital; and for all who deal with financial risk. Established in 1961, the WFE is the global industry association for exchanges and clearing houses. Headquartered in London, it represents over 200 market infrastructure providers, including standalone CCPs that are not part of exchange groups. Of our members, 37% are in Asia-Pacific, 43% in EMEA and 20% in the cas. WFE exchanges are home to nearly 45,000 listed companies, and the market capitalisation of these entities is over $82.5 trillion; around $81.8 trillion (EOB) in trading annually passes through the infrastructures WFE members safeguard (at end 2017).